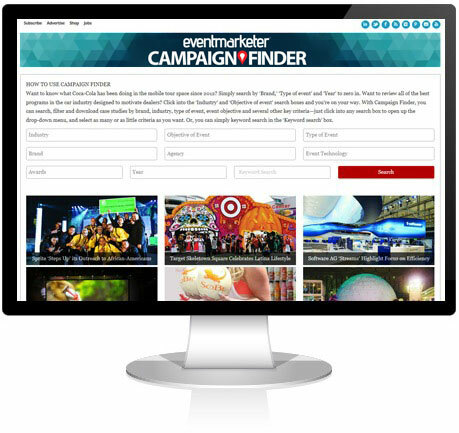 Campaign Finder gives you unlimited access to a growing database of more than 1,000 best-in-class case studies for your brainstorming session, CMO pitch, team meeting and more. Search, filter and download case studies by brand, category of business, type of event, event objective and other key criteria. Get inspired. Build a strategy. Validate ideas. LET'S GET STARTED NEED TO SUBSCRIBE?